House-made, house-cured, hand-churned, hand-dipped—we've heard it all before. We've probably tasted most of it. And despite the more-than-occasional sensation that we're trapped in a Portlandia episode, we have to admit that (A) this kind of approach to food continues to enthrall us, and (B) we have no problem asking, without a shred of self-consciousness, "Is it local?" The other question on our minds of late is how these age-old techniques are affecting modern cooking. 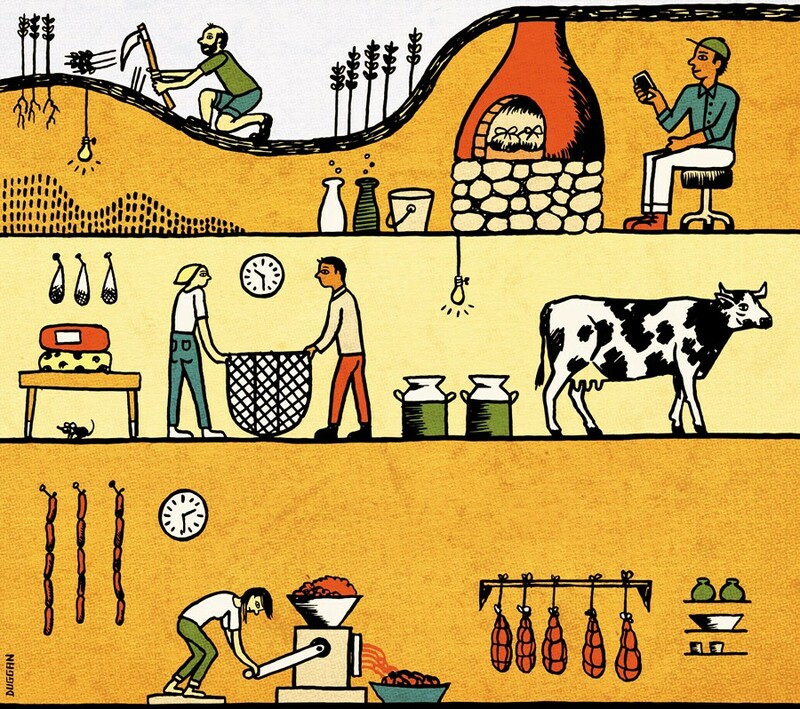 We live in an age of click-of-a-mouse convenience, which makes endeavors such as hand-milling flour, aging and drying meat, paddling milk for cheese, and brewing beer with hot stones seem particularly curious. Is this obsession with our food-prep past a regression of sorts, a yearning for a time when we relied less on technology than on a mix of wits and manual labor? Is older necessarily better? (Answer: not always.) How does this era of old-fashioned cooking fit in with Chicago's past 178 years of newfangled "innovation"? (In many ways it doesn't, as you'll see.) Can old-school methods be used to invent something new? (They can, particularly when it comes to fried dough.) And is the end result worth all the effort? When the Sofitel's Café des Architectes had to undergo intensive certification, chef Greg Biggers decided to have some fun with it—and launch in-house charcuterie and cheese-making programs.